A Yukoner has been recognized for more than a decade of work promoting literacy and the French language. Isabelle Salesse is one of 14 Canadians this year to receive the Council of the Federation Literacy Award. A Yukoner has been recognized for her work promoting literacy. Isabelle Salesse is one of 14 Canadians to receive the Council of the Federation Literacy Award this year. The award is recognition for her development of courses, programs and other resources helping people to learn French. Salesse has worked with Yukoners for 15 years. Today, she is the executive director of the Association franco yukonnaise (AFY). "I just want to mention I did not do this alone," she said. "There are many people who are passionate about this subject. There are so many people doing excellent work. It's such an important thing to do because there are a lot of people in Canada who need help." Surveys like the International Adult Literacy Survey have found that more than 40 percent of the Canadian population over 16 years of age have low literacy skills. Salesse started working in literacy at the age of 18, doing volunteer work in France with immigrant communities. 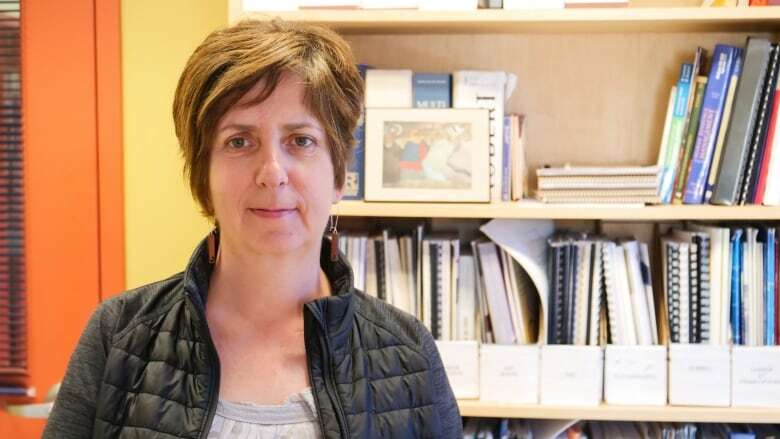 Since then, she has worked with the Yukon Family Literacy Coalition, helping to add French resources to its literacy centre within the Canada Games Centre. She's also worked with several national organizations that promote French in a minority-language environment. One initiative in Whitehorse is what Salesse calls a "one-stop shop" for families at the offices of AFY. The program combines assessments, referrals and employment services in one place. "For example, if you are looking for a job, you can go there and you're going to have employment services, but as you are evaluated the counsellor might find out that you need literacy as support as well," she explained. "What we do is we usually have a tailored program for the person. We do a one-on-one evaluation and then we offer our services. And people's needs are different. Some people want to be employable and are lacking some skills. Some other people want to learn to read and write because they want to read to their grandchildren, for example." Salesse says computers have made literacy all that more necessary — "Today it's a skill that you need, and not everybody has that," she said. Salelsse says there have been many individual successes, but overall numbers on literacy haven't changed much during her career. "The problem, from my point of view, is that there is not enough funding provided to organizations working with adults. We still don't consider that as education like school or anything like that. And I think we should," she said. "Some people had a very bad experience with school, they dropped out of school and they don't know how to write and to read. They don't have the basic skills, but there are not many programs to help them."